With my sons 14th birthday coming up soon I had no idea what to gift to get him. When I asked him what he wants he replies with "I don't know" or asks for the newest iPhone model. Um no thank you I am not spending $700+ on a birthday gift for a teenage boy. So I did what any mom would do and asked my friends of teens what to get. I tell you when my daughter was 14 she was so easy to shop for, but my son not so much. Here are some suggestions that my friends gave to me and I thought you might find it helpful. I hope some of these ideas will help you when you have to get a gift for a teenage boy. Even with all these ideas I still had trouble coming up with the perfect gift for my son. My son is into video gaming and his game chair is worn out so I will likely have him pick out a new one. I also bought a DIY slime kit I thought he might like too, who doesn't think slime is cool right? 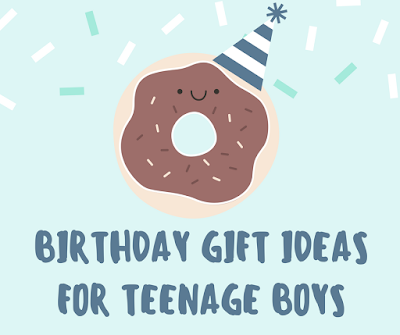 What would you give a teenage boy for his birthday?